The Duterte administration has committed to increase the country’s peacekeeping operations under the banner of the United Nations. Speaking at the UN Peacekeeping Ministerial Meeting on Uniformed Capabilities, Performance, and Protection in New York City, Defense Secretary Delfin Lorenzana has committed 90 military observers and staff, one force support unit, and one aero-medical evacuation team for the UN Peacekeeping Capability Readiness System for 2019. “The Philippines is ready to increase its engagement in peacekeeping operations,” he said. “The Philippine government has decided to allow the deployment of military and police area in any area, regardless of the security threat level,” the defense chief added. The Philippines is among the 120 countries that have contributed military, police and civilian personnel to several conflict-torn areas through UN peacekeeping missions. 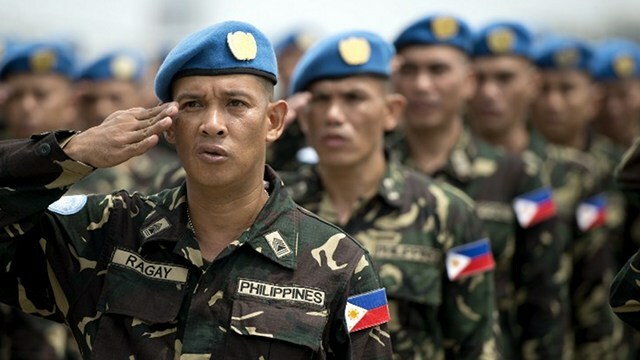 The government has sent Filipino peacekeepers in several Asian nations, in the Middle East and some European countries. One of the critical missions Filipino peacekeepers had encountered took place at the border of Syria and Israel in August 2013 when the troops were trapped for five days in the desert after being surrounded by Syrian rebels during the Golan Heights conflict. The 73-man Filipino contingent, despite facing extreme danger, successfully escape unscathed. Lorenzana stressed the success of peacekeeping operations must be measured by how well peacekeepers are able to protect civilians, especially children, and prevent sexual exploitation abuse. “The Philippines stands in solidarity with the community of nations in fostering shared responsibility for the success of peacekeeping operations,” Lorenzana said.